Original from the Alpha Industries, this legendary flight jacket has the best quality in the market. Available in black, navy, sage, replica gray, titanium and stratos. 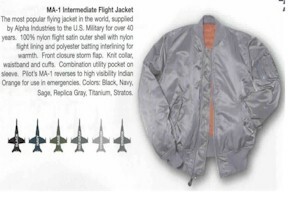 Based on the best seller flight jacket used by the U.S. Military for 40 years. 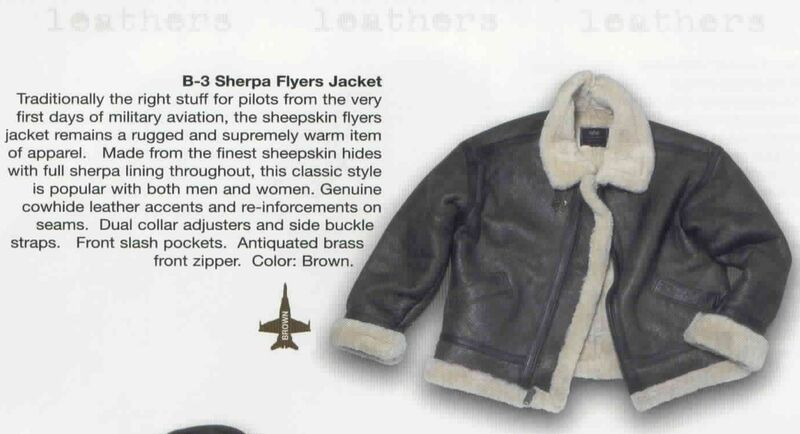 Traditionally the right stuff for pilots from the very first days of military aviation, the sheepskin flyers jacket remains a rugged and supremely warm item of apparel. Made from the finest sheepskin hides with full sherpa lining throughout, this classic style is popular with both, men and women. Genuine cowhide leather accents and re-enforcements on seams. Dual Collar adjusters and side buckle straps. Front slash pockets. Antiquated brass front zipper.